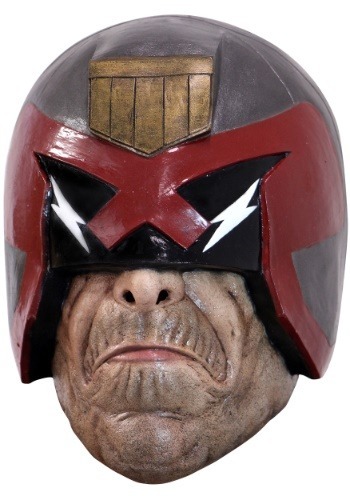 No one is better at mean muggin’ than Judge Dredd. He has the kind of face that says, “Someone ate the last donut at headquarters before I even had the chance to have one.” Then again, if you had to spend your entire day chasing after dangerous criminals dispensing justice with extreme prejudice, you probably wouldn’t be a cheery chap either. The good news is that you don’t need to start practicing your frown face to get an authentic look based on the comic book character. All you need is this licensed mask. Based on the iconic character from the gritty comic book, this Judge Dredd mask is molded to look just like his mean mug. All you have to do is slip it on over your head and you have the instant grumpy face of the law enforcement enthusiast. And yes, you totally get to shout, “I AM THE LAW!” while you wear it.